The "King's Highway" and the modern roads that replaced it helped shape the natural resources-based economy of South Carolina's coast. Remnants of the old road still exist, if you know where to look. 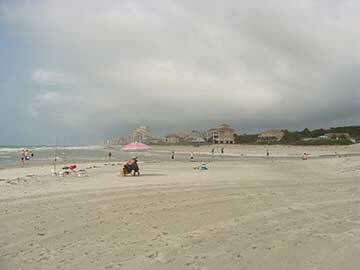 It's a typical sunny summer day on the Grand Strand. 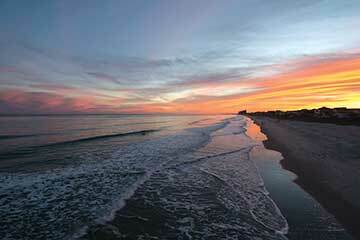 Out on a shell-strewn beach near the Dunes resort in Myrtle Beach, a scattering of well-oiled sun bathers have oriented themselves along both sides of a large freshwater creek that flows through a natural channel cut through the dunes, across the beach and into the surf. It's called the Singleton Swash. It's a safe bet that not one among them is aware that on this very spot on a fine spring day back in 1791, President George Washington, travelling down the old "King's Highway" on his southern tour of the colonies, crossed Singleton Swash in his horse-drawn coach. Washington noted in his diary, "Mr. Vareen piloted us across the swash... it being at the proper time of the tide we passed along it with ease and celebrity..."
For the next fifteen miles, to a smaller swash on Third Avenue South at present-day Surfside Beach, where the primitive colonial road came back up on solid land, the old King's Highway was actually out on the beach, right there between the dunes and the breakers. 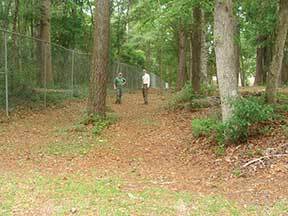 When you study the history behind the King's Highway and South Carolina's upper coastal region, one thing becomes apparent – during the early colonial period, if you wanted to make serious money, the extraction of wealth from natural resources was the way to go. It was deer skins (not rice or indigo) that provided the initial capital to build the plantation-based agricultural system. As early as 1706, a mere thirty-six years after Charles Towne had become established, the colony exported more than 120,000 deer hides to London. Although eventually supplanted by indigo as the principle commodity, the deer skin trade put cash into the pockets of planter-class land barons for decades. It is interesting to scan through the long list of certified Indian traders of the early 1700s and see which ones took that cash and invested it in planting rice and indigo. The importance of the naval stores industry in colonial South Carolina also cannot be overstated. The vast longleaf pine forests of the region were the economic plum that the Lords Proprietors were banking on when they laid claim to their share of the New World. Pine tar, pitch and turpentine were essential to ship construction, and by 1720, South Carolina was the leading producer of naval stores among the colonies, an industry that persisted well into the 20th century. Two other little-recognized products of nature that generated significant revenue during the colonial period were the extraction of salt from sea water and the manufacture of bricks from Carolina clay. Before the Civil War, there were salt works located at Little River, Singleton Swash, Murrells Inlet, McClellanville and Awendaw. A large-scale brick manufacturing operation provided much of the capital for Boone Hall plantation. When Washington made his famous journey, he was visiting the economic elite of the new country – families whose fortunes were built by exploiting the region's vast natural resources (and by the labor and ingenuity of African slaves). But Washington was just one of a long list of notable figures in history who came this way. 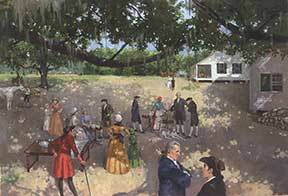 There was also the country's most celebrated native-born naturalist, William Bartram, travelling from Charles Towne to visit his uncle's plantation on the Cape Fear River. Francis Marion, dubbed the "Swamp Fox" for his uncanny ability to attack unwary British troops and slip back into the swamp undetected, travelled this way as well. But Marion wasn't harassing British troops when he came through Singleton Swash. 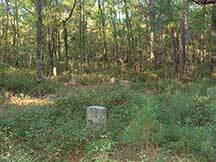 Like Bartram, he was visiting a relative, his brother Isaac, who lived at the fabled Boundary House, located just off the King's Highway at the North Carolina state line. Cruising U.S. Highway 17 from North Carolina down to Mount Pleasant approximates their route fairly closely. You will never be more than a mile, as the sea gull flies, from the old colonial road, and if you stop along the way to talk to folks and spend some time in a few of the museums and local libraries, a story begins to emerge. It's the story of three-hundred years of South Carolina history, where we have been and where we are headed. It's a story of unprecedented prosperity and abject poverty. And perhaps most importantly, it is the story of how, in the eternal struggle between progress and preservation, we finally seem to be achieving some balance. At the point where North Carolina Highway 179 merges with U.S. Highway 17 near the South Carolina Welcome Center, there is a little known and greatly under-appreciated public park called Vereen Memorial Gardens. George Washington did not sleep here, but he did spend the night with Jeremiah Vereen, whose plantation was near Windy Hill. It was Jeremiah who piloted Washington across Singleton Swash, and it was one of his descendents (Jackson Vereen) who donated the property for the park. One day this past June, I found two fellows surveying a stretch of sandy, two-rut road along the edge of the woods behind Vereen Gardens' C.B. Berry Community Center, one of the few remaining identifiable sections of the original King's Highway roadbed. Ben Burroughs, a historian at Coastal Carolina University, and Adam Emrick, senior planner for Horry County, are working with Vereen Gardens to preserve this section of the old road and provide interpretive panels that will help visitors understand the role the King's Highway played in the history of the entire coastal region. Emrick also has the larger goal of identifying all the remaining segments of the road in Horry County and would eventually like to map the route by establishing GPS waypoints along its entire length. If you have the opportunity to stop at Vereen Gardens, take the time to check out the Vereen family cemetery, and be sure to visit the extensive boardwalk along the Intracoastal Waterway. What you will see is at least a hundred acres of maritime forest that will remain in its natural state in perpetuity – an oasis among a rapidly expanding stretch of wall-to-wall commercial development. A little farther down Highway 17, below Murrells Inlet at the perennially popular Brookgreen Gardens, Mike Ammons, the facility's director of landscape and natural areas, knows all the ins and outs of the King's Highway and many of the stories behind what remains of the rice plantations along this stretch of the Waccamaw River (plantations largely responsible for financing the construction of the road). 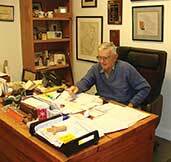 He grew up in Murrells Inlet and has worked at Brookgreen for twenty-eight years. In particular, Ammons knows the exact route that the highway took through all four of the former rice plantations (The Oaks, Springfield, Brookgreen and Laurel Hill) that now comprise Brookgreen Gardens. When Archer and Anna Huntington put the properties together in 1930 and established Brookgreen, they did more than just provide a beautiful setting for one of the most famous collections of outdoor sculpture on the East Coast, they also permanently protected a long section of the old King's Highway, along with thousands of acres of woodlands and wildlife. Further down the coast, at Pawley's Island, A.H. "Doc" Lachicotte Jr., whose Huguenot ancestors came to this area in 1850 to run the rice mill at Brookgreen, has seen firsthand the transformation of the old meandering coast road into a modern, four-lane highway, and his life might be considered a metaphor for the changes that have occurred along this stretch of the South Carolina coast. "I remember walking the old King's Highway when it was nothing more than a sandy dirt road," says Lachicotte. "I went to elementary school right across the road from here, but I went to high school down in Georgetown. 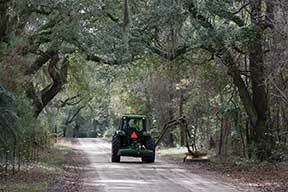 We used to ride the school bus down to the Waccamaw River near Hobcaw. Then we would have to get on a ferry. It was called the Pelican, and that would take us across the water. Back then, it took about two hours to get to school. That was before they built the Lafayette Bridge. 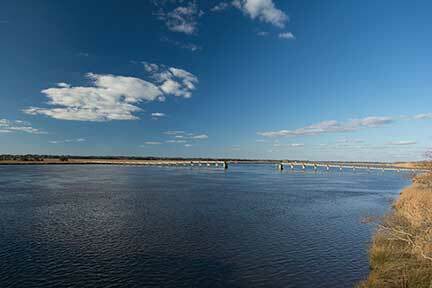 You can still see the ferry pilings about a hundred yards upstream above what's left of the old bridge." Today, that same drive takes about twenty minutes. "People have a hard time understanding just how remote and how poor this area was back in the '30s," continues Lachicotte. "Back during the rice time, this was one of the richest counties in the country, but by the time the Depression came along, it was one of the poorest. When they straightened the old road out and eventually paved what was called the Ocean Highway back then, and still is, it changed everything. People really started coming into this area." When Doc Lachicotte finished Clemson College with a degree in horticulture and came back home to make a living, most people figured his future was in farming, but Lachicotte and his father had realized something that had eluded other folks. This part of the world was changing fast, and a totally new industry was emerging – tourism. Lachicotte's father had already seen the proverbial writing on the wall. He built a combination gas station and grocery store in the 1920s, and in 1928 created the oak-shrouded shopping plaza centered around the now-famous Pawley's Island Hammock Shop. 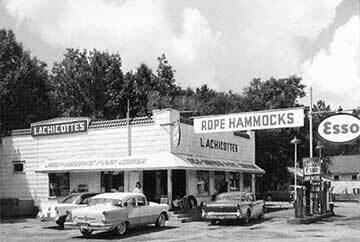 Lachicotte took his father's successful enterprises one step further. He expanded into real estate, and along with several financial partners, bought one of the old rice plantations and developed it into an enormously successful resort community, starting a trend that continues today. In the same year that Doc Lachicotte's ancestors began operating the rice mill at Brookgreen, more rice was exported from Georgetown than any other port in the world. 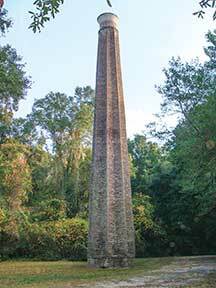 Rice was king, and some of the richest planters in the South lived along this stretch of the Waccamaw Neck (the area between the Waccamaw River and the ocean). But after the Civil War, this agricultural empire that had been based on slave labor collapsed upon itself. During the long painful period that followed, landowners found themselves holding large tracts of nearly worthless land. By 1900, scarcely a single grain of rice was grown in Georgetown County, and that chapter in our history was definitively and for all time, closed. But today you can see the transformation of the region's economic landscape on which Doc Lachicotte banked his future – from the long-abandoned rice plantation properties along the old King's Highway to a modern-day version of that gilded age. Backtrack a bit on Highway 17 to the entrance of Litchfield by the Sea resort, turn onto Willbrook Boulevard and follow it to King's River Road. Turn left and follow the road until it re-enters Highway 17 below Pawley's Island. This is the actual, (albeit now paved), route of the original King's Highway, and it's a very telling tour. You will see the impressively manicured golf courses and attractively landscaped entrances to a string of high-end, gated residential communities, most retaining the names of the former rice plantations they occupy. All Saints Episcopal Church is located on this road. The current church was constructed in 1917, the fourth on the site. The first, a wooden structure, was built in the 1730s and served as the parish church for planter-class families along the Waccamaw River. In 1860, one year before the start of the Civil War, an Episcopal Church document described the parish as containing "more wealth than any other rural parish in South Carolina, or perhaps the South." Here, in the historic cemetery perfumed throughout in summer by the elegantly sweet scent of gardenias, lie the remains of some of the architects of the "golden age" of the rice culture. Farther down the road at Hobcaw Barony, George Chastain, president of the Belle W. Baruch Foundation, includes their four-mile segment of the King's Highway in the public tour of the Hobcaw estate. "It was a public road, right up until 1930," says Chastain. 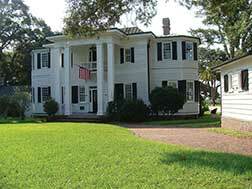 "Historically, it led to the Fraser's Ferry site on Winyah Bay, at the end of the Waccamaw Neck. We consider the King's Highway an important cultural resource. We have never rocked or raked it. We do what we can to maintain its original appearance." 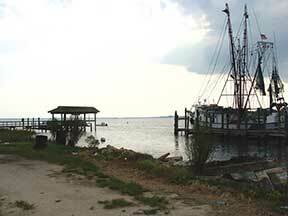 Fraser's Ferry was commissioned in 1791, the same year George Washington crossed Winyah Bay on his way to Georgetown. Another president, Franklin Roosevelt, spent a month at Hobcaw in 1944, relishing the peace and tranquility of the expansive estate acquired by Bernard Baruch in the 1920s. Baruch's daughter Belle permanently protected the property – more than 17,500 acres that is now a wildlife refuge and center for research and education in forestry, ecology, marine biology and other natural sciences. In McClellanville, just south of the South Santee River, a dedicated trio of volunteers, Bud Hill, the curator of the town's Village Museum, Michael Prevost, president of White Oak Management Group and their friend Jessica Garrett were recently able to get a twelve-mile section of the King's Highway (known as the Old Georgetown Road in this area, see sidebar) nominated for the National Register of Historic Places. "We think we have the longest remaining [unpaved] section of the King's Highway between Philadelphia and Charleston," says Prevost. "Three-quarters of that is now under some form of protection." Today, you can still drive on this sandy, tree-lined section of the original road and imagine what it must have looked and felt like in the time of Washington. A mile or so beyond the bridge crossing the South Santee River on Highway 17, turn right onto Rutledge Road at the sign for Hampton Plantation. Go another mile and turn left onto Old Georgetown Road and you'll be on the route. The road goes past the wonderfully preserved St. James Episcopal Church, known locally as the "Brick Church." Dating back to 1768, the Brick Church once served St. James Santee Parish, the historically significant rice-growing region along the South Santee River. The church building and grounds are an open-air museum of colonial architecture, the splendid craftsmanship of African slaves, and the funerary remains of some of the French Santee area's most celebrated parishioners. Each year in the spring, more than a hundred patrons and supporters of the ancient church gather for a commemorative service and picnic on the grounds. 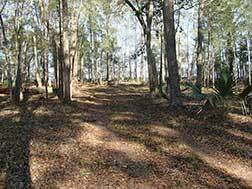 Several years ago a group of private donors led by Bud Hill, Michael Prevost and others were able to work with the S.C. chapter of The Nature Conservancy, the Charleston County Greenbelt program and the S.C. Conservation Bank to secure one-hundred acres of forestland directly across the road from the church, permanently protecting the rural setting of this historic section of the King's Highway. Prevost's forest management group is working to restore the once dominant longleaf pine on the property, which provides critical habitat for red-cockaded woodpeckers and American chaffseed (Schwalbea americana), a fire-dependent, federally-endangered pineland plant. Although it might appear from a distance that tracts of coastal pines are mono-cultural biological desserts, the truth is, more than 140 species can live in a one square kilometer tract of longleaf pine savanna. 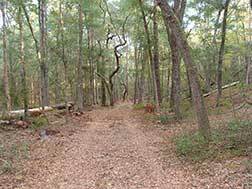 Ecologists estimate that 90 percent of the once-dominant longleaf pine habitat of the southeastern United States has been lost since William Bartram first came through here on horseback in the late 1700s. 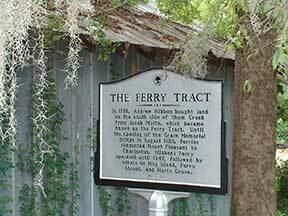 In his former position as S.C. project director for TNC, Prevost was also able to help preserve a historically significant segment of the King's Highway that leads to the old Mayzck's Ferry and Halwell's Tavern sites on the South Santee River. He also helped the descendants of Archibald Rutledge protect a 1,200-acre tract along the river that includes another well-preserved stretch of the King's Highway. 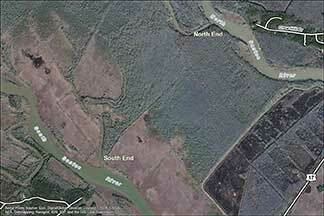 The ferry site on this tract was the jumping off point for eighteenth century travelers crossing Lynch's Causeway across the swamp connecting the two branches of the Santee River. Some forty miles down the road, Hibbens Ferry (commissioned to owner and operator Andrew Hibbens in 1770) was once located on the south side of Shem Creek at what is today the corner of Haddrell and Beach streets near the Wando Shrimp Company dock in Mt. Pleasant. 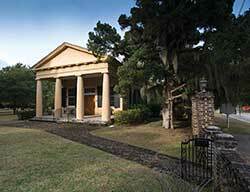 Hibbens Ferry is the site from which George Washington embarked on his historic boat ride across Charleston Harbor. The specially outfitted presidential barge was propelled by "twelve American Captains of Ships, most elegantly dressed" who rowed the commander in chief three miles across the water to Samuel Prioleau's wharf, just south of modern-day Queen Street. The "Old Village" area of Mt. Pleasant (known historically as Haddrell's Point) grew up around Hibbens Ferry. Initially, there was just the ferry and wharf, the remnants of a Revolutionary-era barracks and the obligatory tavern, but eventually, a cluster of homes and other businesses sprang up. Most, if not all, of the old King's Highway in the Mt. Pleasant area is now under asphalt, and if not for the dedicated efforts of the Mt. Pleasant Historical Commission, it would be all but impossible to reconstruct the route of the colonial road in the area and the history associated with the Hibbens Ferry site. But under the leadership of the current chairman, Jose Hernandez, and the former chairwoman, Victoria Musheff, the commission has done an incredible job of documenting and identifying historic sites throughout the Old Village Historic District. For their efforts, and for those of the other dedicated lovers of our state's history and natural resources who are working to document and protect the King's Highway segments that still remain, we all owe a debt of gratitude. Who Put the King in the "King's Highway?" It is often stated that the origin of the 1,300-mile King's Highway from Boston to Charleston dates to an edict from King Charles II in 1650, which directed the colonies to build a post road connecting the thirteen colonies. Sounds pretty good, except for the fact that the South Carolina colony and Charles Towne did not even exist until 1670, when the original settlement occurred on the Ashley River. Not to mention the fact that until 1720, the colony took its orders and directives from the Lords Proprietors, not the King of England. Yes, Charles II did direct that a post road be constructed in the Massachusetts Bay Colony, and it proved very successful, both for getting the news from the remote corners of the colony to Boston and for getting from one place to another. The concept caught on in New England, and the thoroughfare took on the name the "King's Highway." The road was eventually extended and improved all the way to New York, and later, Virginia. Meanwhile, as early as 1713, the colonial government in South Carolina began its own program of building roads and ferries, both along the coast and inland. 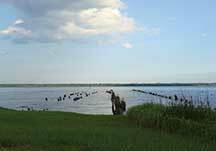 Local committees were commissioned with the power to tax local landowners for the construction costs, and ferries over the Charleston harbor, North and South Santee rivers, and Winyah Bay were authorized with specific and very detailed charters issued for the ferry operators. By about 1735, it was possible, though certainly not easy, to travel from Charles Towne to the newly surveyed state line near Little River. This road came to be known as the "Georgetown Road." Fast forward to 1938. During the Great Depression, the Works Progress Administration commissioned the Federal Writers program, which produced a very popular travelogue called Ocean Highway that covered a one-thousand-mile-long section of the continuous coast road from New Jersey to Florida. Since they knew from researching the road in the northern states that the road was called the King's Highway, they assumed that was also true in North and South Carolina – a false assumption. In fact, the Georgetown Road had nothing to do with Charles II or the Boston Post Road. Nevertheless, the book repeatedly indicated that "the coast road follows the route of the old "King's Highway," and the name stuck. Years later, South Carolina's first official state historian, A.S. Salley, somewhat frustrated at the "myth" behind the then firmly-entrenched name, asserted that he had read numerous colonial era newspapers and reviewed countless old documents but had never come across a reference to the so-called "King's Highway." When not travelling the state in search of stories to share with the readers of SCW, Dennis Chastain lives in Pickens County.